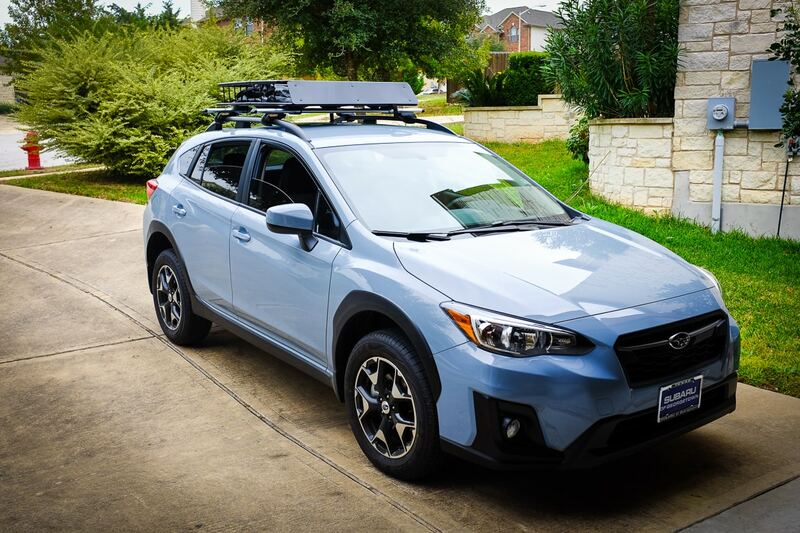 As you can see from the photos, I’ve mounted the rooftop cargo basket onto our 2018 Subaru Crosstrek. 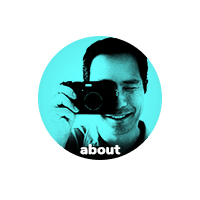 As expected, it was an easy one-person job to get it onto the crossbars, position, and secure. Obviously, it would have been faster with two people, but it’s certainly not necessary. The basket is light enough that I could lift it safely and place it on the crossbars, then slide it across to center it. I made sure to measure and match the distance between the crossbars with the mounting points on the basket beforehand. 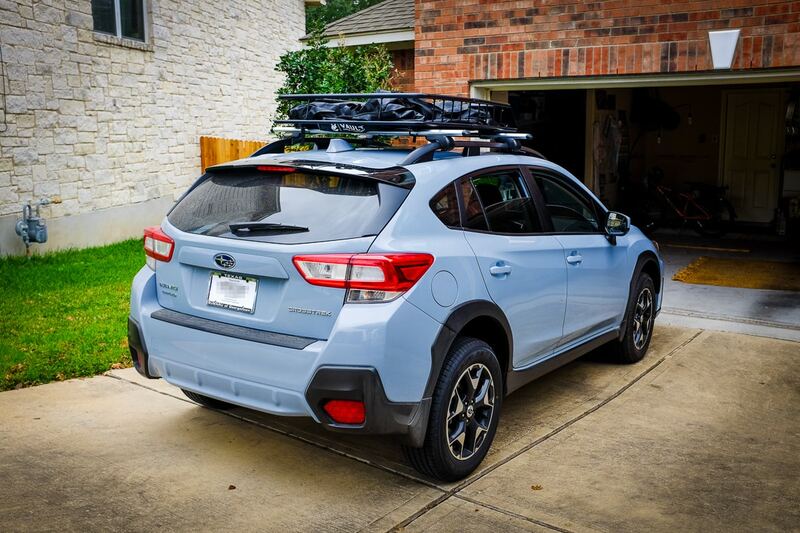 It’s so nice that the Crosstrek is not as tall as a regular SUV or minivan, especially since I am only 5′ 5″ tall. That being said, I did use a footstool to get up higher to the tighten the clamps. It’s just more comfortable to turn the wingnut-type screws without angling your wrist awkwardly. I also unpacked the waterproof cargo bag which we’ll put our gear into, and put it in the basket to make sure the size was ok. 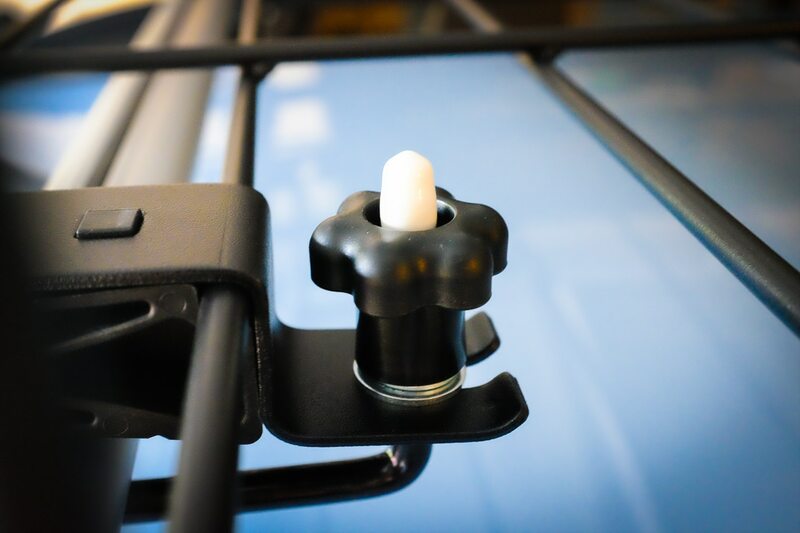 The footstool was a big help with this part and so for our camping trip, I ordered a portable version. It seems like it’s a decent item to have around, and it folds down flat. It arrives on Friday so we’ll see if it will really do the job. Driving with the cargo basket up top feels the same as without, but the wind noise is noticeable from about 50 MPH on up. I’m sure the mileage also takes a hit with the basket on, but I’ll update this post later on when I get more drive time data. I’m not planning on keeping the crossbars and basket on the Crosstrek full-time, however. It’s pretty much just for camping. I think it looks pretty cool, though! I’m really enjoying the new Crosstrek!